With the six-hour race at Watkins Glen on 2 July – one of America’s sports car classics – the IMSA SportsCar Championship picks up pace again after taking a break for the 24 Hours of Le Mans. 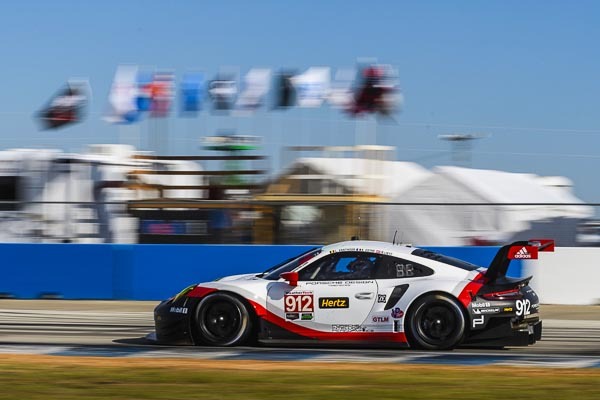 The Porsche GT Team sends two new 911 RSR to contest the event in the US state of New York. The 510 hp racer, designed from scratch by Porsche Motorsport in Weissach based on the seventh generation of the iconic 911 sports car, tackles the strongly represented GTLM class. In the GTD category, customer teams campaign the Porsche 911 GT3 R. The Porsche squad travels to Watkins Glen as the leader (driver and team) of the North American Endurance Cup. The other three events that make up this prestigious long-distance reliability competition are Daytona, Sebring, and Petit Le Mans.